The brightest minds gathered at this launch event that uncovered unique business insights from F1 and MIT experts. Titans of industry from every sector? Check. On-stage speakers revealing penetrating insights? Check. Yes, it’s a C-suite executive education business seminar. 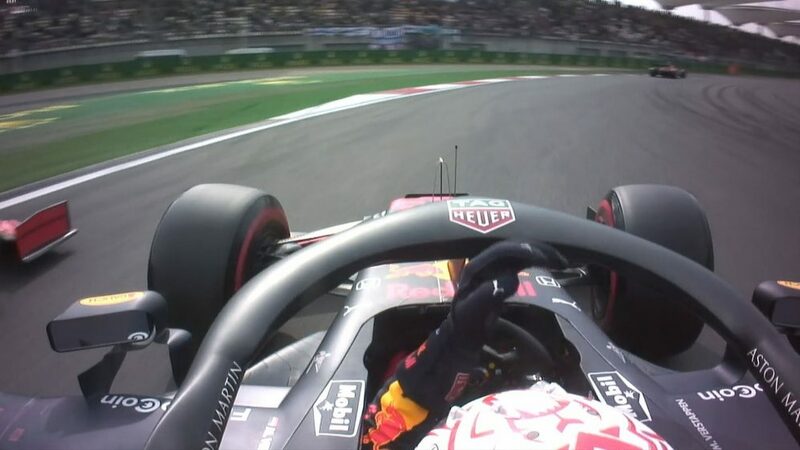 But it’s conducted in the unique setting of the Formula 1 track at Monza. Where the speakers’ points are sometimes punctuated by the roar of a neon orange McLaren 720S supercar doing a ‘hot lap’ around the circuit. Where attendees can take a rolling tour of the track, guided by a driver. And where the audience will get, in the words of a senior F1 team leader, “inner sanctum insights” into how both motorsport and business enable success. The concept is simple. Combine the smartest thinkers from the Massachusetts Institute of Technology (MIT) Sloan School of Management with some of the leading lights from F1 – such as Managing Director Ross Brawn and Chief Technical Officer Pat Symonds – and let them share knowledge that has real-world applications for a business audience. 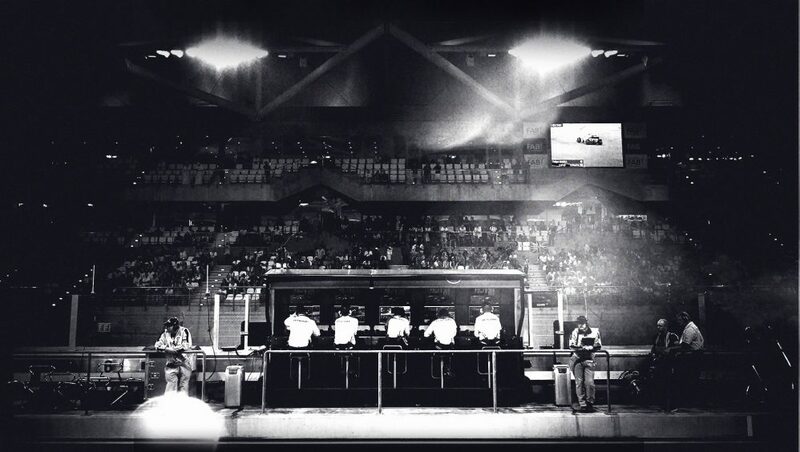 It’s called the F1 Extreme Innovation Series – and here’s how the first event unfolded. It’s 7.30am on a beautiful late autumn day in Monza’s Royal Park and soft morning sunlight is filtering through the trees. A curious counterpoint to this natural setting are the vast trucks and trailers that are slowly rolling in as an advance party for the race weekend. Among the temporary visitors are also dozens of board-level business execs invited to experience an inaugural thought-leadership day. From tech firms to management consultancies to F1 sponsors such as Petronas, attendees represent the cream of global business. Indeed, it’s encouraging that, despite their busy lives, they’ve taken the time to travel to Italy to learn from other captains of industry. Following coffee, some excellent pastries and a welcome address from F1’s Commercial Operations MD Sean Bratches, the morning session got down to business. It kicked off with a keynote speech from Alan Mulally, former President and CEO of the Ford Motor Company – and previously the CEO of Boeing Commercial Airplanes. In an engaging hour – impressively based on just one slide – he took us through the learnings gathered from decades spent running two of the world’s biggest companies. He stressed that the people in an organisation are the most important element to get right. MIT Senior Lecturer Ben Shields took Mulally’s notion of trusting the data further in the first of the day’s learning streams: Analytics Informing Strategy. While we have more data and better technology than ever before, he said, it creates a set of challenges to be overcome. From identifying the priority metrics to governance, data security and ensuring that the executive team buys in to the culture of data defining decision-making, many organisations struggle to use analytics to inform strategy. Step forward our first F1 Community guest speaker, a Chief Strategist from one of the Teams, to provide a perfect example of a business with data at its heart. 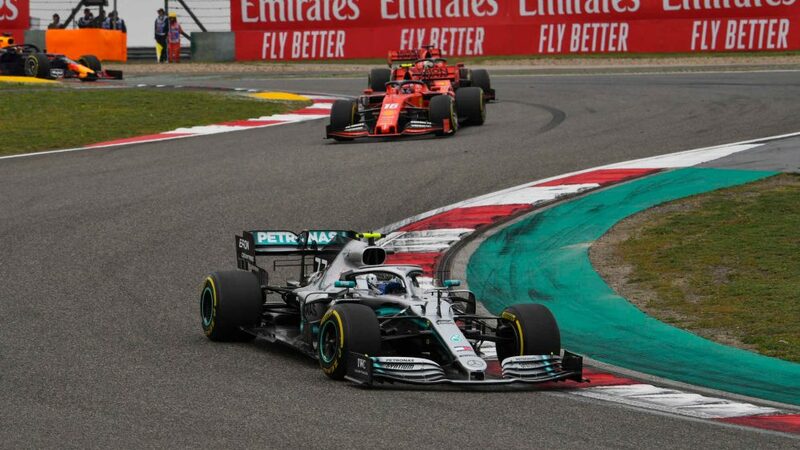 Through a highly entertaining presentation – not a murmur was heard in the room for an entire 30 minutes – as guests saw how analytics worked in F1 pre-race prep, in-race competition and post-race improvement. With a lot to digest, the attendees took an hour out to tour the pit lane, talk to former racing personnel leading the F1 Experience tours, grab the essential selfie (yes, even the C-suite needs an on-track image for social bragging rights) and – arguably best of all – take a driver-guided track tour on an open-top truck. At every section of the circuit, the hosts revealed insider info on what a driver might be thinking or doing at key moments. 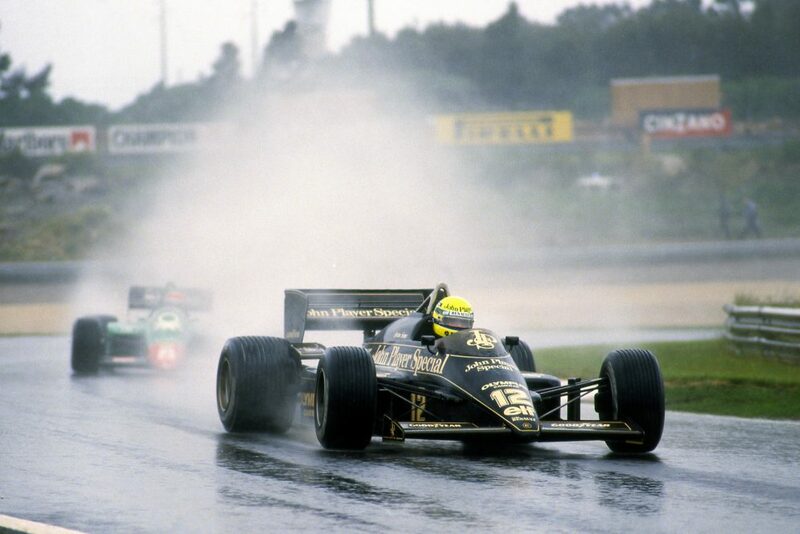 For an F1 fan, or anyone looking for a once-in-a-lifetime experience, it doesn’t get much better than this. Following a gourmet lunch, with a buffet table groaning with high-end gastronomy and some excellent Italian wines, Bruce Cameron from MIT delivered the second learning stream: Squeezing Out Performance. He drew comparisons between F1 and other businesses that operate with a tight band of performance between the winner and the worst performing competitor – for example, a financial trading company which spent $300m building a fibre optic system that gave them 1.4 milliseconds less latency than other trading organisations. This thinking was brought to life by Pat Symonds, a 30-year veteran of F1 who once served as Michael Schumacher’s engineer and also worked as CTO for the Williams F1 team. System thinking is hard-wired in F1, he said. Teams analyse every item on the car at the same time, for example, to see how all the technology is working together as a system. Some fascinating examples followed, including a deep dive into the telemetry data – from the gearbox to oil pressure to tyres. 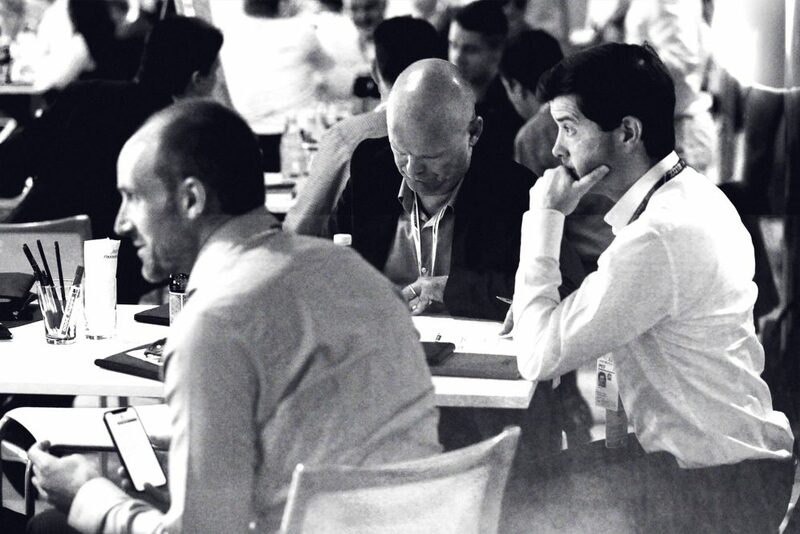 With all these insights gained, attendees were given two opportunities during the day to work through their business challenges in the analytics and systems areas, alongside other guests on their table. This was a unique opportunity to gain instant senior exec level analysis of business issues – under Chatham House rules, naturally – and come away with some fresh thinking inspired by the day’s presentations. It’s the sort of learning opportunity not found in the day-to-day and this event offers it twice in one day. In truth, the ticket price is worth it for that alone. 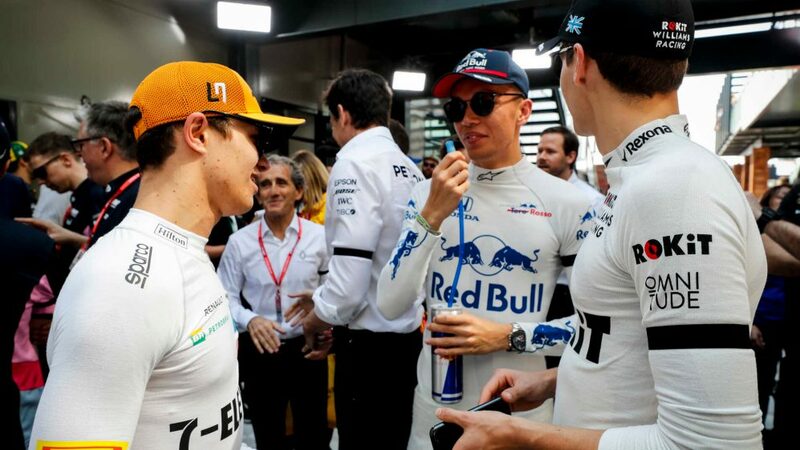 By the end of the day, over drinks in the F1 Paddock– situated directly behind the pit lane – attendees were enthused about what they seen and heard. Some suggested that they would bring team members to the next session, others saw it as a fabulous client invitation opportunity – “Every client I know would jump at the chance to come along,” said one – while many simply took the opportunity to network. 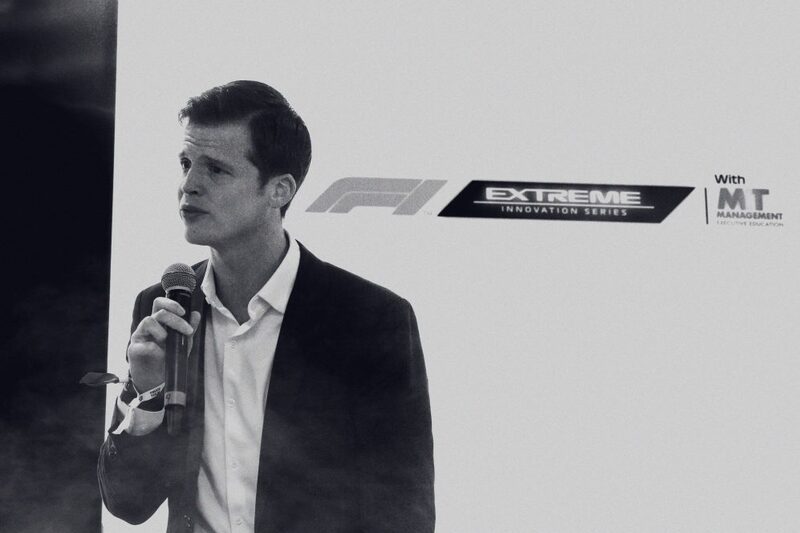 Because this rare mix of high-level executives, combined with killer insights and a backdrop that thrills at every turn, makes the F1 Extreme Innovation Series a learning and business-enhancing day like no other. 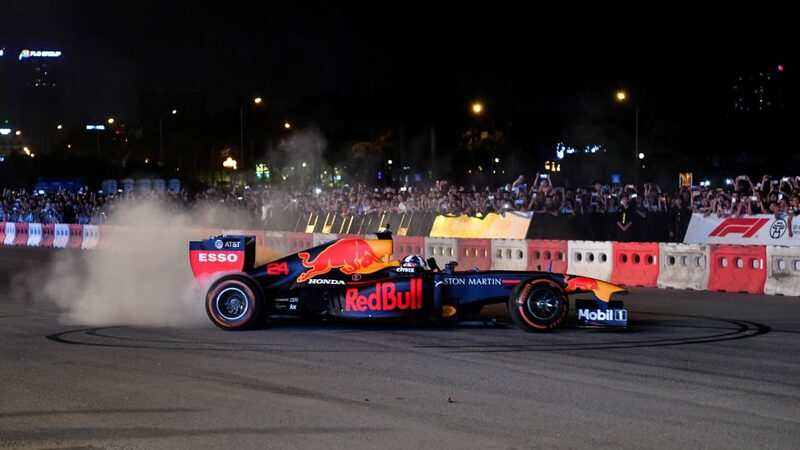 To find out how you can attend the next F1 Extreme Innovation Series event, held at Austin on 18 October, click here.